In less than 48 hours, the State of Israel launched two rounds of aerial bombardments against military targets on the outskirts of Damascus, allegedly to prevent a quantity of more sophisticated missiles, of Iranian manufacture, from reaching Hezbollah, the Lebanese Shiite militia that defeated Israel in the last Lebanon war, in 2006. Although Israel had already bombed Syrian territory in January of this year, the scope of these bombardments was much greater, just like their repercussions. Although Netanyahu’s government did not openly take responsibility for this real act of war, US President Barack Obama quickly vindicated the State of Israel’s right to defend itself, given its proximity to Syria and Lebanon, and he implied that the United States approved of this “preventive attack” against Syria. The opposition to the Assad regime was divided, in view of the attacks. While the Military Council of Damascus called for taking advantage of the Israeli strike, others used them to charge that Assad’s regime was strong in internal repression, but powerless in front of the Zionist attack. The response of the pro-imperialist opposition, that has been asking for US military intervention, was utilized by Assad to try to justify his repressive policy, by using the theory that it is not a matter of a legitimate popular democratic uprising, but a Western conspiracy to overthrow him and weaken the resistance against the Zionist state. Given the historical importance that the Baath Party regime has had, for supporting the stability and security of the State of Israel, despite being technically at war with the Zionist state, which keeps the Golan Heights occupied, the regional extension of the Syrian civil war to neighboring countries like Lebanon threatens to create a regional conflict of maximum significance; in the context resulting from the failure of the United States in the wars in Iraq and Afghanistan, and from the changes that occurred with the Arab Spring, the regional order, that serves the interests of imperialism, is in question. In light of the results of NATO’s intervention in Libya, that led to the overthrow of Gaddafi, but not to the emergence of a stable regime related to US interests, Obama has been categorically refusing to intervene in Syria. To this is added the fact that, after the disastrous wars in Iraq and Afghanistan, and amidst the economic crisis, 62% of the US population is opposed to intervention in Syria, that, moreover, would not even have the cover of the United Nations, because of the permanent veto of China and Russia, Assad’s allies. Up to now, the United States has been trying to provide an essentially political and diplomatic solution, that combines the imposition of economic sanctions on Syria with the propping up of moderate groups of the opposition, that could possibly negotiate a transition with the Baâth Party, preventing the absolute hegemony of the Muslim Brotherhood. On the military level, it has been limited to assistance and training, by agents of the CIA, of related militias, especially the Free Syrian Army, directly sponsored by Turkey. Obama’s greatest fear is that a policy, whether of direct intervention or of arming the “rebels” in a generalized fashion, will end up strengthening the Islamist variants, extremely hostile to the United States and to Israel, taking into account the influence that the Al Nusra Front, an Islamist organization that several analysts are connecting to Al Qaeda, has been acquiring. The US political establishment is divided over what policy to have. Republican and Democratic groups have been pressuring Obama to intervene militarily in Syria, alleging that the lack of a response, in view of a crisis that has already lasted for more than two years, is read by the enemies of the United States, particularly Iran, as a sign of weakness. The partisans of intervention, that range from John McCain up to the “progressive” Nancy Pelosi, have returned to the charge, demanding, at least, a limited operation, like the establishment of a no-fly zone, assuming that the impunity with which Israel attacked, would show the weakness of Assad’s anti-aircraft defenses, for which reason, intervention would cost the United States practically nothing. The final pretext that the US hawks have put forward is the alleged use of chemical weapons by the Assad regime, that Obama had put as a “red line” for intervening in Syria, which recalls the lie about the weapons of mass destruction controlled by Saddam Hussein, with which the United States justified the 2003 war with Iraq. The gravity of the situation hastened the Obama administration’s decision to reach an agreement directly with Russia, Assad’s main international supporter, a solution negotiated between the Syrian regime and the opposition recognized by imperialism, and overcome the impasse created by the permanent veto of Russia and China in the United Nations Security Council. As part of this policy, John Kerry, the US Secretary of State, met with Putin and agreed in principle to call an international conference, to be held presumably at the end of May, in which the opposition and representatives of the Assad regime would participate, on the basis of what was decided at the Geneva conference in June, last year. This would entail the formation of a “transitional government” without Assad, but keeping the structure of the army and other repressive forces intact, so as to ensure governmental continuity and stability, and defeating any attempt at a popular uprising. However, given the scope of the conflict and those involved, it could hardly be resolved by means of negotiation. The Assad regime’s alliances with Iran, Hezbollah and with the government of Iraq are based on the solidarity of the Shiite branch of Islamism, that is a minority in the Muslim world, but a majority in Iran and Iraq, facing its Sunni rivals, and on the commonality of geopolitical interests (the confrontation with the United States and the State of Israel in the case of Iran and Hezbollah). Although it has not yet acquired the character of an interreligious civil war, the Syrian crisis could take this dynamic and lead to confrontation, not only between Sunnis and Alawites, but also to the persecution of Kurds, Christians and the Druze. Both the Iranian regime and the Prime Minister of Iraq are afraid that if the majority Sunni opposition gets hold of power in Syria, with the support of Turkey, Saudi Arabia and Qatar, that could lead to an attempt to restore Sunni control in Iraq. The defense of the Alawite minority in Syria, to which the Assad family and their intimate circle in power since the end of the 1960’s, belong, could cause the inter-religious conflict in Lebanon (which experienced a 15-year civil war, in which Syria played a central role) to reappear. This, in the context of the fact that, after the United States withdrew from Iraq, a civil war, that is becoming ever more intense, erupted again between Shiites and Sunnis (a war joined by the Kurds, who kept northern Iraq, where there are important oil wells). 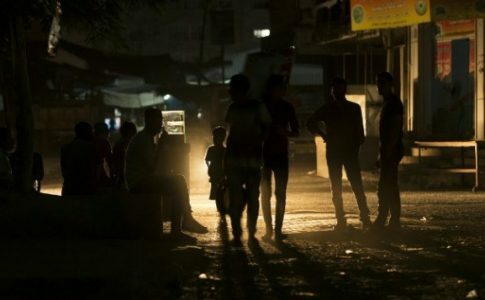 According to humanitarian organizations, in the last month, the number that died in these confrontations is similar to that recorded at the peak of the civil war in 2006. The uprising in Syria encouraged the wave of protests by the Sunnis in Iraq against the persecution of one of their leaders (accused of being a terrorist by the Maliki government and sentenced to death). Even al Qaeda announced the foundation of the Iraqi branch of the Al Nusra Front. This perspective is a nightmare for the interests of the United States in the region, in the context of the fact that the US has not yet found a viable solution to the occupation of Afghanistan, and of the fact that the US is seeking to reorient its foreign policy to the region of Pacific Asia, with the strategic aim of containing China’s advance. Hence the need to put an end to the crisis in Syria, without involving the United States in another military adventure. Against those who claim the Assad regime is progressive and anti-imperialist and state that it is not crushing a popular struggle, but defending itself against the United States’ and Israel’s attempt to topple it, we maintain that in Syria there is a legitimate struggle underway against a dictatorial regime, a struggle that erupted in March, 2011, as part of the more general process of the “Arab Spring.” This popular uprising has profound democratic and social driving forces. Tens of thousands of Syrians have mobilized in the streets against this dictatorial regime that uses control of the state to guarantee the enrichment of a minority, to which the Assad family belongs, while the great majority of the working-class and peasant population sees how their own living conditions are worsening. Faced with Assad’s brutal repression, this popular uprising militarized itself, and, although elements of the rebellion that shook the regime persist–especially in the local councils that are organizing daily life in cities under the control of the opposition or the Organization of Local Committees, which emerged at the beginning of the uprising–those who are occupying the center of the stage on the military level are organizations like the Free Syrian Army, which acts with the sponsorship of Turkey, and, ultimately, has the support of US imperialism. Meanwhile, on the political level, the leadership of the pro-imperialist opposition of the National Coalition for the Forces of the Opposition and the Revolution in Syria (founded in November, 2012, as a successor of the Syrian National Council, and supported by all of imperialism and the Gulf Cooperation Council), and radical Islamist variants, like the Al Nusra Front, and other religious organizations, armed by Qatar and Saudi Arabia, are fighting for leadership. On the Syrian battlefield, various conflicts are converging, that threaten to ignite the entire region, conflicts exacerbated by the intervention of imperialism and different regional powers and actors that seek to manipulate some of the factions in struggle, in order to pursue their own reactionary interests, even at the risk of unleashing an inter-religious civil war. While a minority of the left sides with Assad, justifying support for this brutal dictatorship because of its contradictions with the United States and now, with the State of Israel, tendencies like the LIT (the main party of which is the PSTU of Brazil) or the comrades of the UIT, repeating the same error that in Libya led them to capitulating, in fact, in front of the NATO intervention, are adapting themselves to the “rebel” camp in the struggle against the dictatorship. In the face of these two positions, we revolutionaries support the uprising and the struggle for the downfall of the Assad regime, at the same time that we fight against every interference and intervention by imperialism or its allies, and we fight for a workers’ strategy, independent of the pro-imperialist opposition leaderships.